Blessed with stunning natural views, rich culture and history, the Philippines has received worldwide recognition. 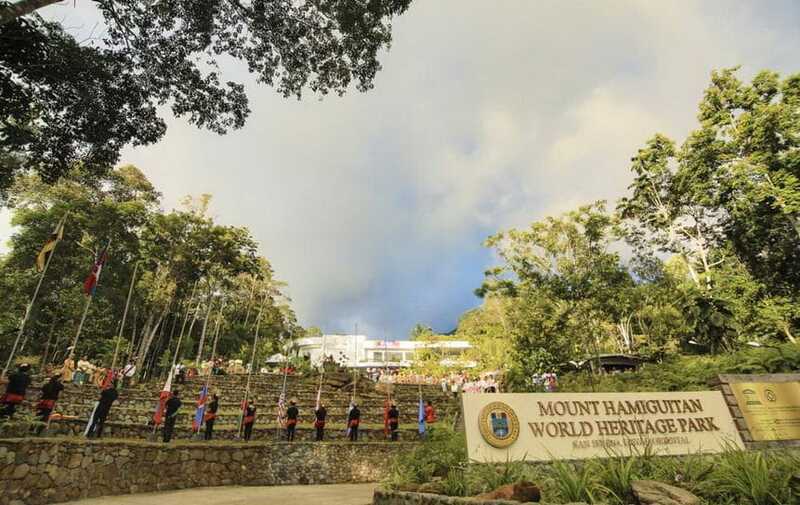 According to World Heritage Convention, there are at least eight sites in the country that have made their way to the World Heritage List. The list itself is divided into three different types of universal heritage: natural, cultural, and the mixed type of both nature and culture. UNESCO put this marine park in the World Heritage List in 1993 and it is the first Philippine site to receive such recognition. 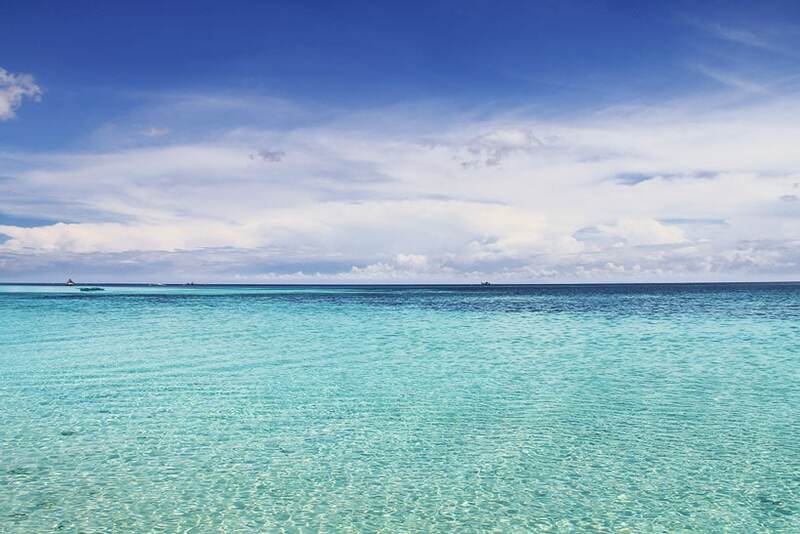 The organization committee even declared the 33,200 ha traditional island region to be of irreplaceably valuable due to its coral reef beauty and diversity along with a wide range of sea species there. The place provides such wonderful marine life that even marine biologists claim to be hard to find elsewhere in the world. 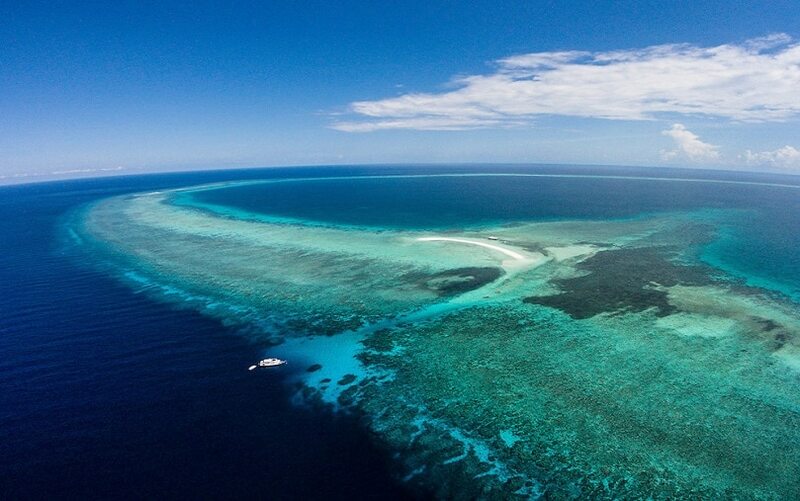 There are over 350 species of coral, 500 species of fish, and various kinds of whales, dolphins, sharks and turtles. 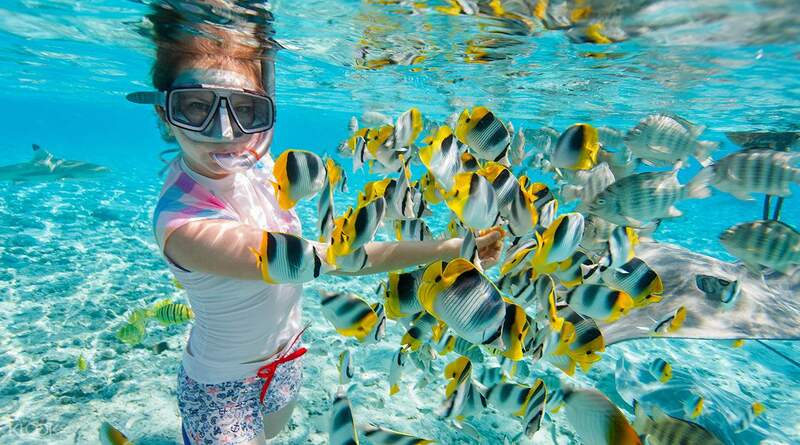 The intensely beautiful underwater park is included in the natural property category as it does not merely provide marvellous views, but it also helps keep balance of the natural environment. Aside from its biodiversity, the coral walls of Tubbataha are also wonderful diving spots for tourists (which are usually compared to the coral walls of the Great Barrier Reef). 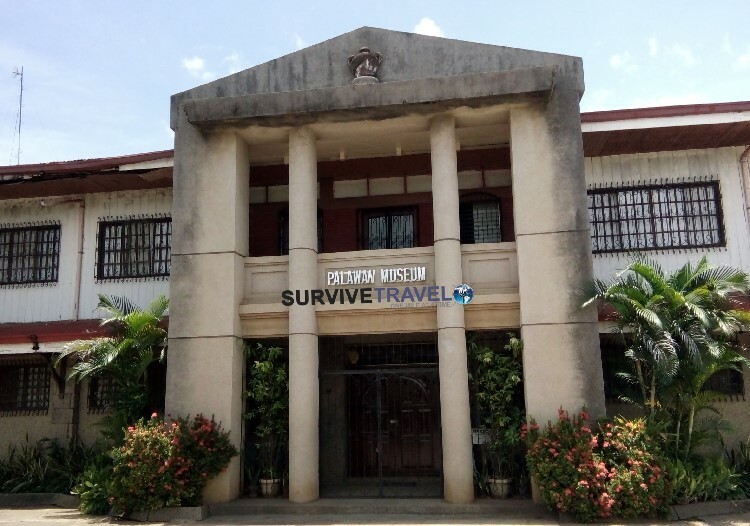 From Manila, tourists can take regular fights to Puerto Princesa City, Palawan. 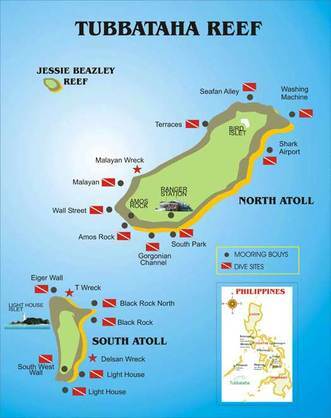 At the airport, you can then take a motorcycle ride to the pier, where boats going to Tubbataha Reef are available. Both a UNESCO World Heritage Site and one of the ‘New 7 Wonders of Nature, this national park is a combination of several astonishing natural features: river, mountain, rainforest, and plains. The river is as long as 8.2 km and it is considered one of the longest underground rivers in the world. Other than the length, the river is a rare natural wonder as the water comes from an inland source and it flows into the sea. On the other hand, the highest peak of the mountainous area is as high as 1,028 meters above sea level and it is even more unique with the addition of limestone plateaus. The rainforest itself has its own charm. It is home to a wide range of both endangered and endemic flora and fauna: calamian deer, mouse deer, Palawan bearcat, skunks, wild pigs, etc. The national park is located 81 km away from Puerto Pricesa downtown area, in St Paul mountain range and 360 km southwest of Manila. Everyone wanting to visit the underground river must apply for a permit to do so, and because of limited capacity and high demand, it’s best to book a few days in advance. Despite its location in the remote Cordillera mountainous area, this is one of the places in the country that is definitely worth a visit. Getting to Banaue and Ifugao is difficult and long, but well worth the journey north. The journey from Manila to Banaue takes about 9 hours by bus (traffic can add about 2 hours). The other option is to fly to Baguio and then take a bus from there, but it doesn’t save much time. The best time to go is between February and May end, when it is least likely that the views will be obscured by low level clouds. Not only attractive for tourists, the place has grown the curiosity of scholars, as well. 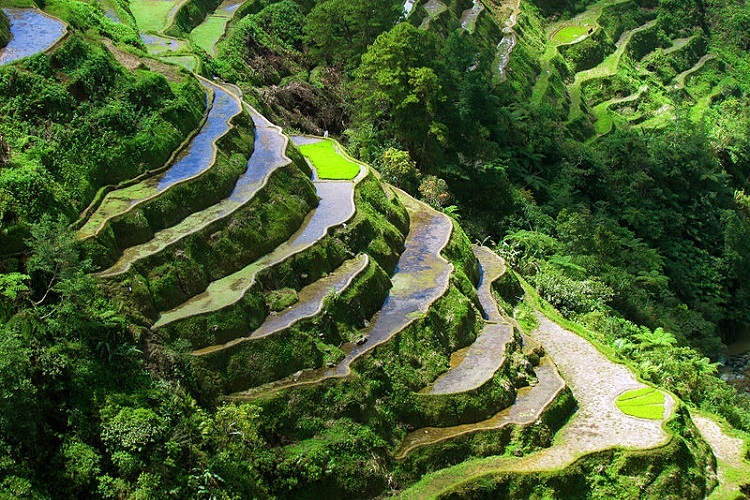 In fact, they have estimated that the setting of the rice terraces dated back from 2,000 years ago. It has shown the unity of man and nature: how man forms a natural landscape to suit his needs. Completing the tranquillity of the paddy terraces is the sound of flowing water from the irrigation canals. Apart from the popular paddy terraces in Ifugao, there are other sites, although not quite as majestic, across the country. They scatter in Kalinga-Apayao, Abra, and Benguet, areas with approximate height of 700 to 1,500 meters. In fact, all these terraces take up around 20,000 km square or 7% out of the country’s total land mass. Back in the days when Spain colonialized the country, Vigan or what was better known as Ciudad Fernandina de Vigan was amongst the top three cities holding the most significant roles in the Philippines. The importance can be seen through the constructions around the city: religious buildings, big houses and other architectural buildings used for political activities. With such historical backgrounds, the city is a proof of the culture combination between the foreign and local. 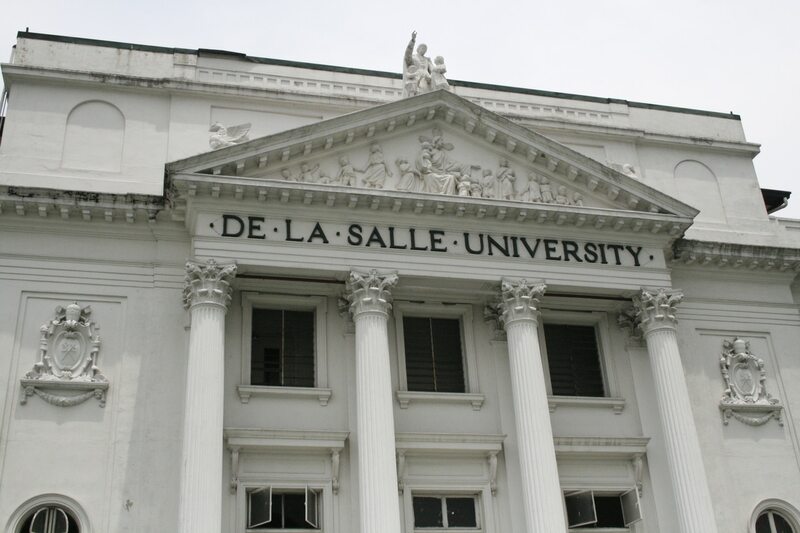 There are several buildings representing the mixture, such as Plaza Salcedo, Saint Paul’s Cathedral and College, The Arzopispado, the Provincial Capitol Building, Simbaan a Bassit (a cemetery chapel), Calle Crisologo (a residential area with a cobbled stone street), and Burgos Museum. From Manila, Vigan is approximately a 7 hour trip. There are buses travelling between the two cities.Besides, one can opt for a flight to the city of Laoag, which is about 80 kilometers from Vigan. From there, tourists can reach Vigan within 1 and a half hours. In the Philippines, out of the six UNESCO World Heritage Sites, only one can be found in Mindanao. That is the Mount Hamiguitan Range Wildlife Sanctuary found in Davao Oriental, the only mountain range heritage site in the country. It is home to a number of threatened flora and fauna, Philippine eagle, Philippine cockatoo, Philippine warty pig, Philippine pygmy fruit bat. 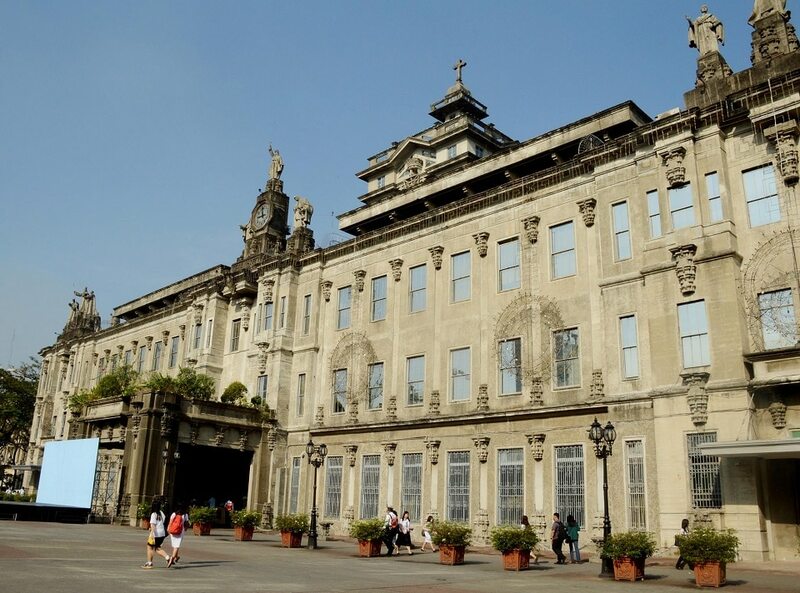 Some of the country’s most embellished churches are Church of San Agustin, Nuestra Senora dela Asuncion, San Agustin Church in Manila, and Santo Tomas de Villanueva. 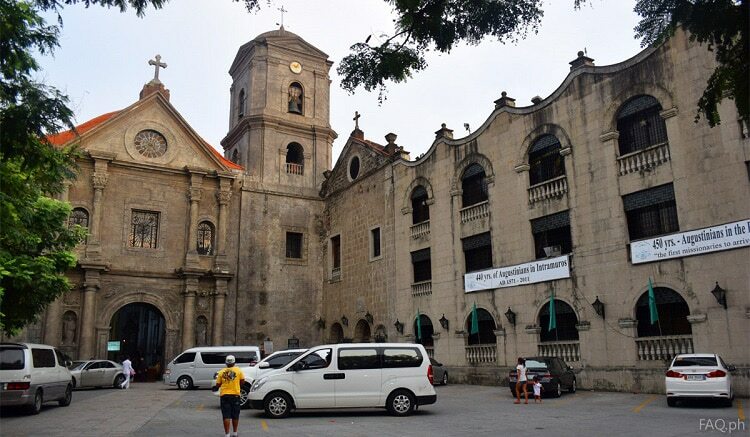 Sharing a similar name are the Church of San Agustin (known as the Paoay Church) in Illocos Norte and San Agustin Church in Manila. Although they both also share a similar concept of enduring earthquakes, the styles of the buildings are different. While the one in Illocos Norte has fourteen massive buttresses in the shape of the letter S, each of which is topped with a finial in the form of a pyramid to support its walls, the one in Manila exerts a raft type foundation allowing the construction to sway during an earthquake. 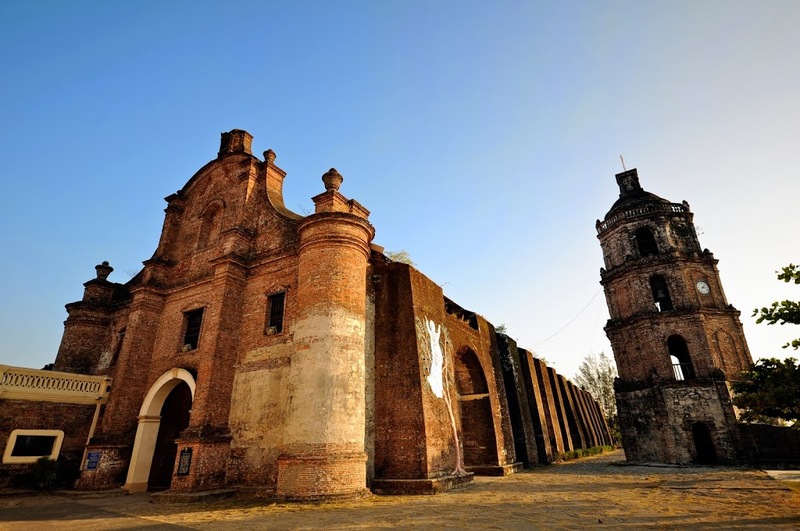 On the other hand, Nuestra Senola dela Asuncion (known as the Santa Maria Church) has Mediterranean look due to its location on the top of a hill and Santo Tomas de Villanueva (known as the Miagao Church) owns a strong fortress image because of its squat structure and its pair of massive bells. The Philippines is a country with undeniable tourism magnet. Famous for its beautiful beaches, tempting food adventure and friendly locals, there is still something touristy hidden in the country: its museums. Although not all tourists fancy museum visits, the cultural and historical items exhibited in the museums across the nation does picture the richness of the country. Should you be willing to give a go to museum visits, here is the list of the ones that should be on the top priority. 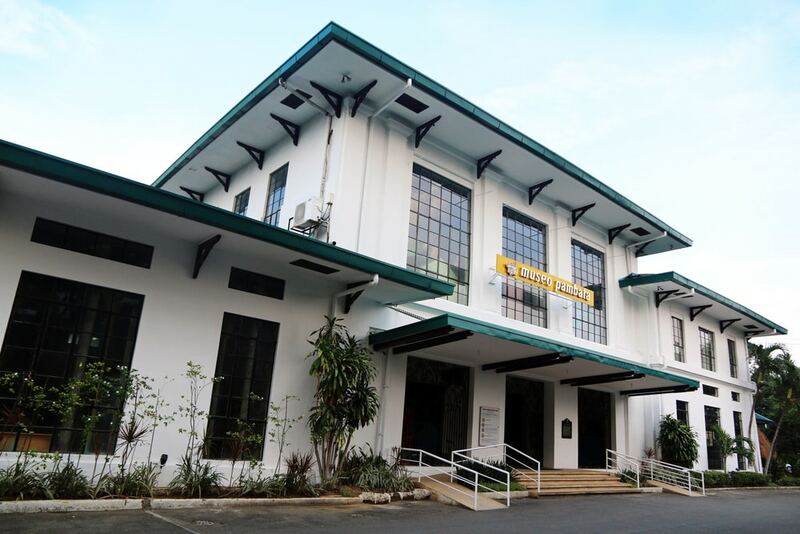 It goes by a different official name, which is the Museum of the Filipino People. 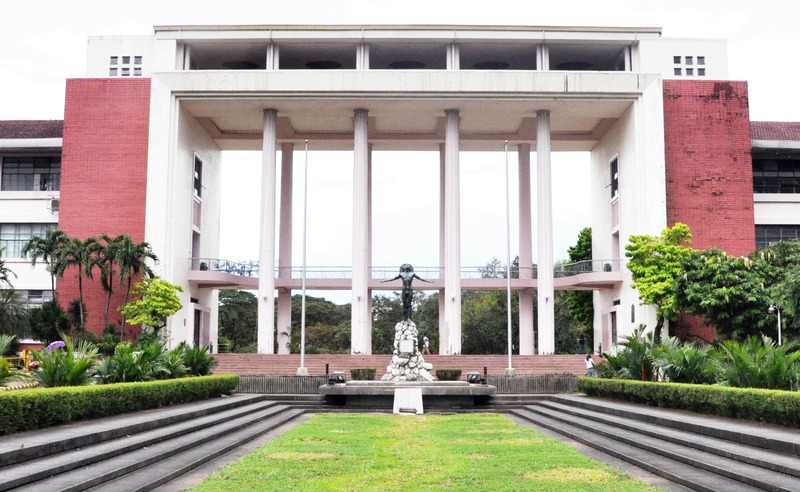 Located in Rizal Park in Manila, this is a museum with easy access. Although the original building was meant for a public library, it was later renovated in 2003. It has turned into an art gallery since then. The exhibits are practically divided into two: natural history and cultural heritage. Natural history covers the areas of botany, zoology, geology and paleontology, while cultural heritage includes anthropology, fine arts, and archaeology. 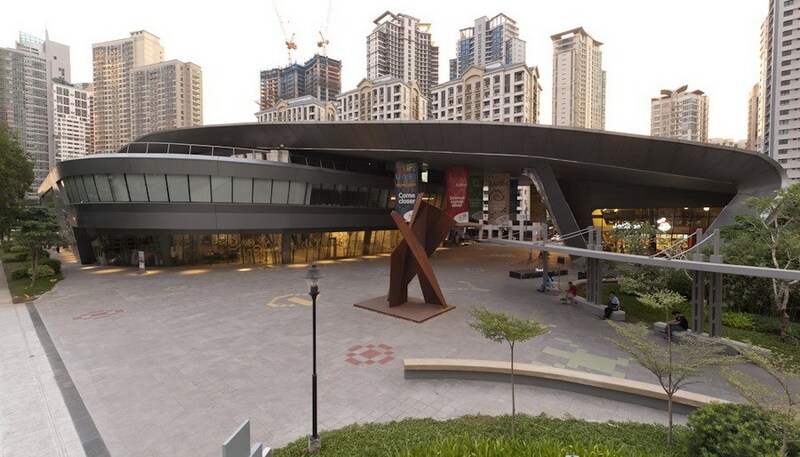 Located in business district of Ayala in Mekati, the building has got a trendy, modern look. Different from the National Museum, which is government owned, this one is managed by private and so far, it has been the most popular private museum with the most visitors in the country. The history of the Philippines from its prehistoric eras to the time when the country gained its independence in 1946 is potrayed through the sixty dioramas exhibited in the museum. 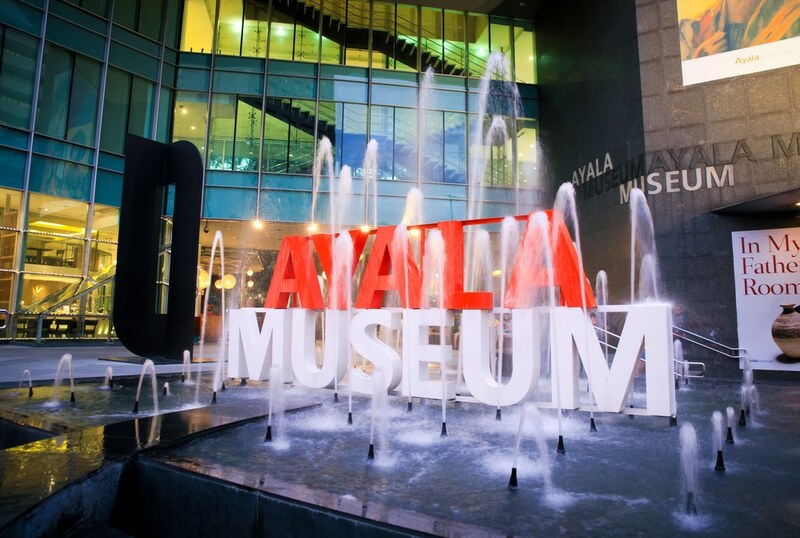 These historical dioramas have always been the must-see attraction of Ayala museum. In addition, rare painting from the local master artists, artifacts (such as ritual objects, weapons, musical instruments) found in various regions of the country, miniature sea vessels and boats vividly picturing the sea transport evolution can be seen in the museum. Cooperating with ASPAC (Asia Pacific Network of Science and Technology Centres) and ASTC (Association of Science-Technology Centers), this museum tries to give its visitors educational experiences that will provide better understanding about nature. Recognized to be of world class quality, its galleries are surely worth visiting. In fact, Trip Advisor has given this museum a certificate of excellence in 2017 due to the consistent good reviews from its visitors. Prior to that, it has received 2014 Thea Award for the sensory experiences. 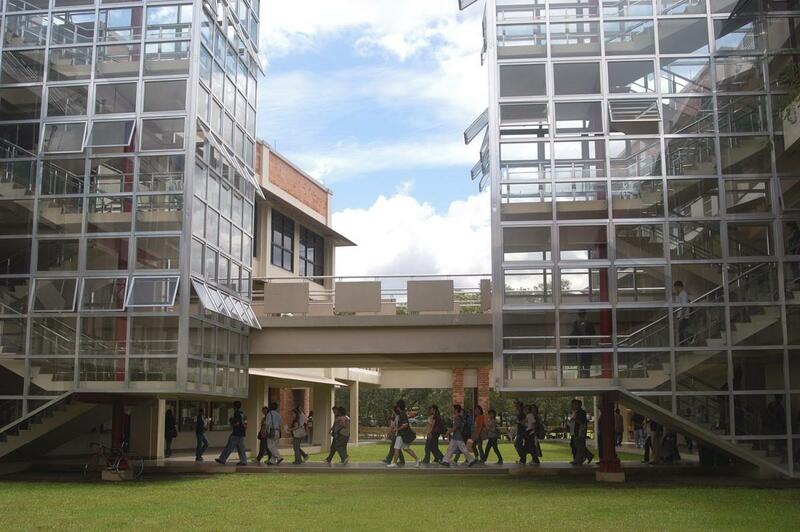 Even the building has been awarded LEED Gold Certification by the Green Building Council in the USA. 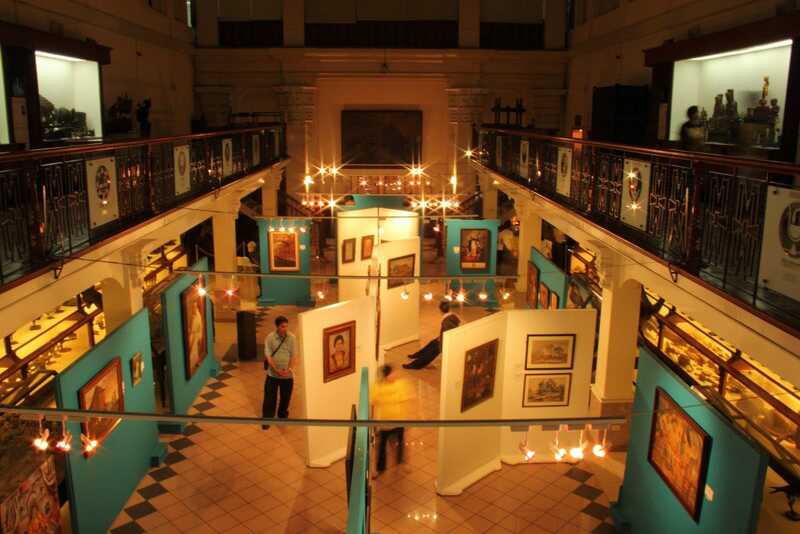 Positioned in the university main building, this museum is a part of Santo Tomas University, which makes it the oldest in the country. The museum was meant to be used as an observation center. The collections include botany, biology and mineral. Currently, there have been new additions to the collections: cultural objects and artifacts, such as musical instruments, metal crafts, and household tools. As the name suggests, this Spanish-Colonial looking house is dedicated for the country’s hero, Jose Rizal. 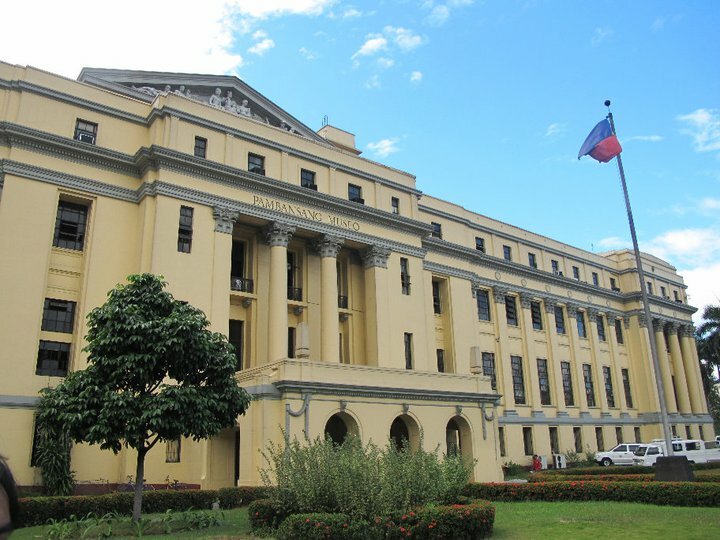 Designed and reconstructed during the era of President Quirino to take after the original house of the hero’s, which was destroyed in World War II, the museum displays things that are related to Jose Rizal, such as his photographs, books, and even his execution coat. In addition to that, the well in the house has been featured as a wishing well for its visitors. 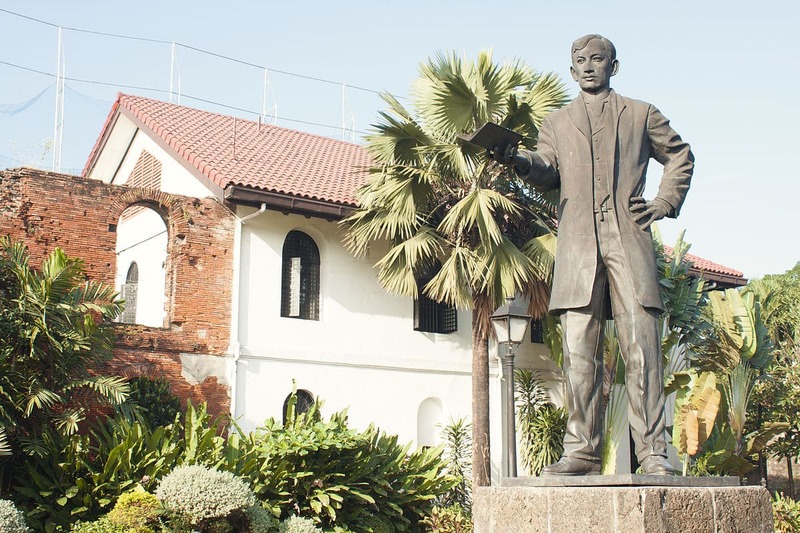 With approximately 270,000 visitors coming per year, Rizal Shrine is a must visit in Calamba. 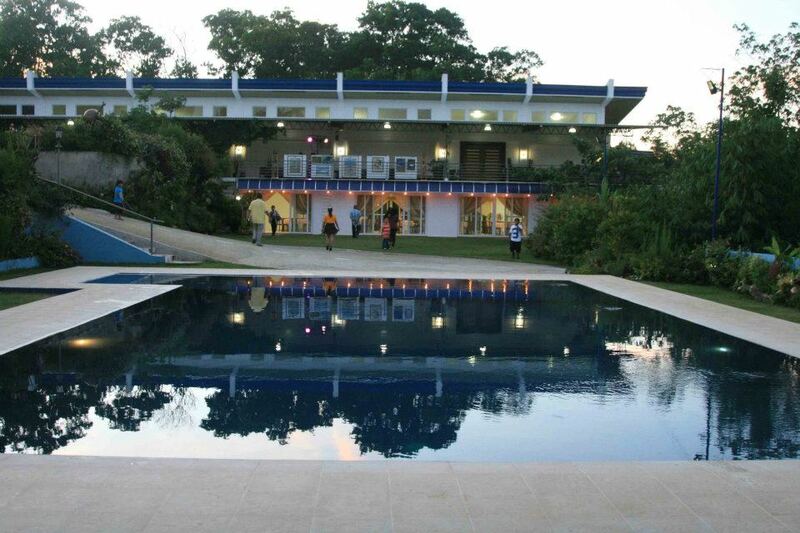 The museum owns vast collections that show the rich cultural heritage of Palawan. Those who fancy finding out more about Palawan would be happy to see the exhibits: the first Philippine man’s skull and bones found in Tabon Caves along with other fossils, artifacts and relics representing Palawan historical and cultural heritage. The displayed items are divided into several sections: history, anthropology, archaeology, biology, and ethnology. Apart from that, a library can be found in the museum. It is home to various donated books, some of which are hard to find elsewhere. 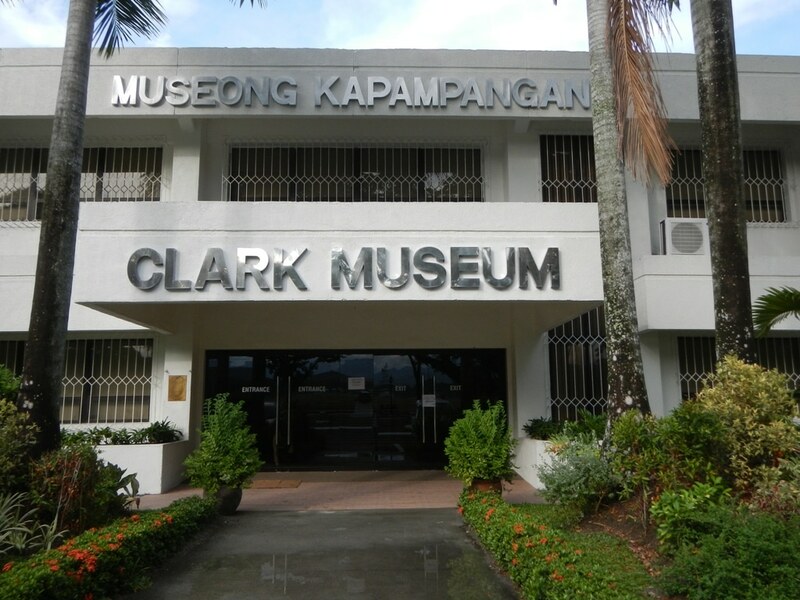 Mount Pinatubo eruption, the transformation of Pampanga as one of the Philippine business zones, relics of Angeles City are some of the things that are available in Clark Museum. Located in Clark Special Economic Zone, the place which was previously used as US Military Base gives off its own magnet for tourists with high regard to historical and cultural values. 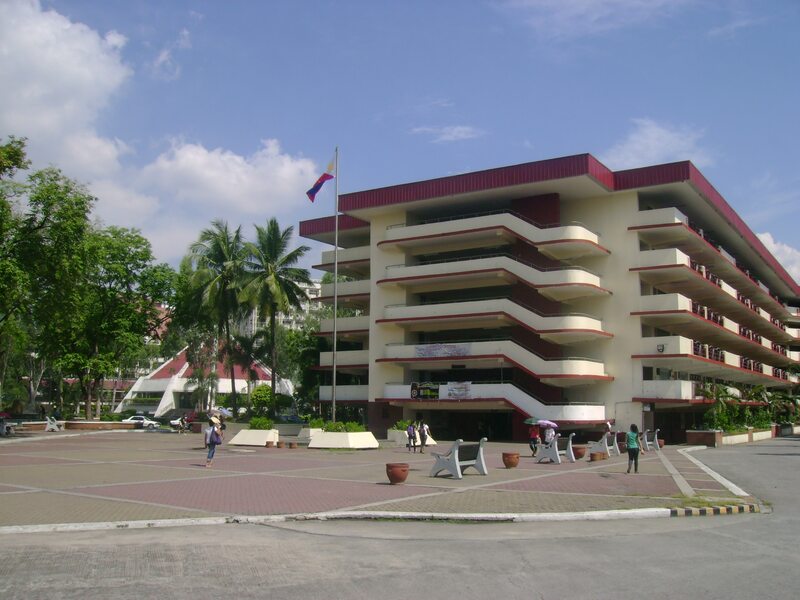 But another popular showcase that Clark has to offer the world is the 4D Theater, located right beside the Clark Museum. It is a 48-seater theater with very comfortable chairs that will make you feel as if you’re sitting back, relaxing and having a massage all while you watch a movie. The Museo Pambata is a children’s interactive museum, the first of its kind in the Philippines. It is in a sense an alternative to the formal classroom environment where learning resembles a one-way street – the teacher imparts knowledge and the students absorb it. In Museo Pambata, children can use their total senses and learn various concepts at their own pace. It excites the minds of the young, inspires them to learn more, and most importantly revitalizes what child learning should be: fun and exciting. 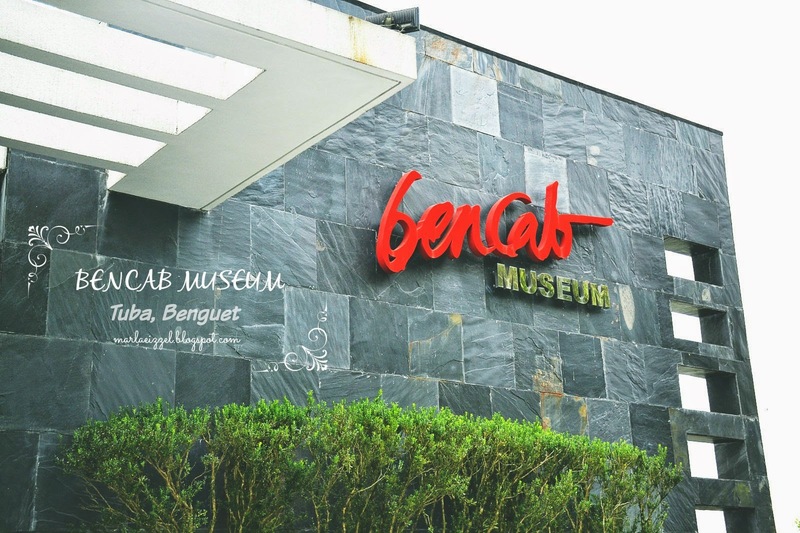 The BenCab Museum’s structure alone is a fine work of art. It’s a four-level museum that features modern architecture with high ceiling, glass walls, and windows that allow natural light to come in. The street level is where the entrance to the museum is. The 2nd and 3rd levels are where the galleries and other art installations can be found while the 4th level is where the cafe is located. Food is a part of a culture. Tasting a country’s local food does not only make travelling experiences more fun, but it also gives better insight of the cultural diversity. This local delicacy was first introduced in Pampanga. It soon became popular throughout the country, though. As the name suggests, pork is the main ingredient for the dish. However, it is not the meat that becomes the highlight. Instead, it uses the face and ears of a pig’s, which are chopped and grilled along with chicken liver. 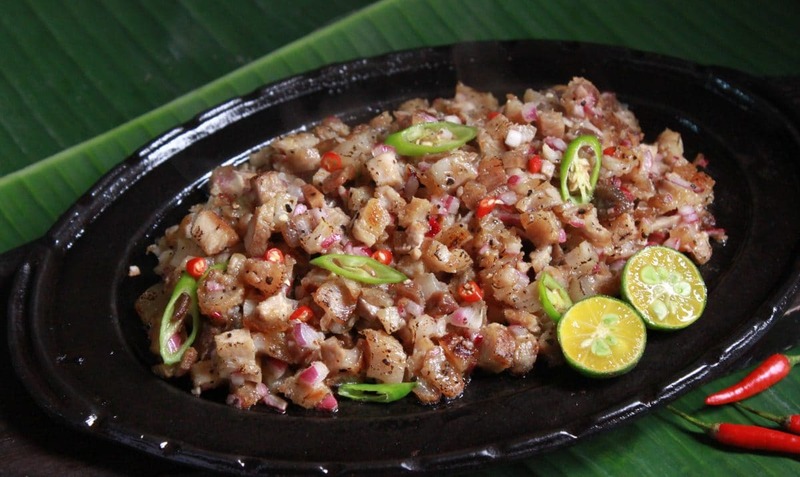 Served in both restaurants and bars, pork sisig is one of the country’s favourite appetizers. This dish is unquestionably the country’s most popular dish. It is almost always exposed in every TV program covering the Philippines. Once, eating balut was even used as a challenge in an American TV show. Despite the worldwide exposure, a lot of foreign tourists visiting the country still find it nerve wrecking to get a bite. The repulsive thing about balut is the egg contains a duck embryo with its almost complete body parts, like a beak, eyes, and feathers. Not only that, the incubated duck egg is simply boiled and normally eaten right from its shell. Balut has normally had this disgusting reputation to those who have not eaten it yet. But, one has to eat it and decide what it tastes like. When talking about the local dessert, nothing beats halo halo, especially if you are enjoying the hot sun near the beach. Not only the rich colours that make it appealing, but its ingredients are also a total delish: coconut, ice cream, kidney beans, milk and some other local sweet components. The name halo halo means mix together and that is why all the ingredients should be mixed altogether to get the best taste. Almost every restaurant has its own version, though, some throwing in sweet potato or jackfruit to up the ante. 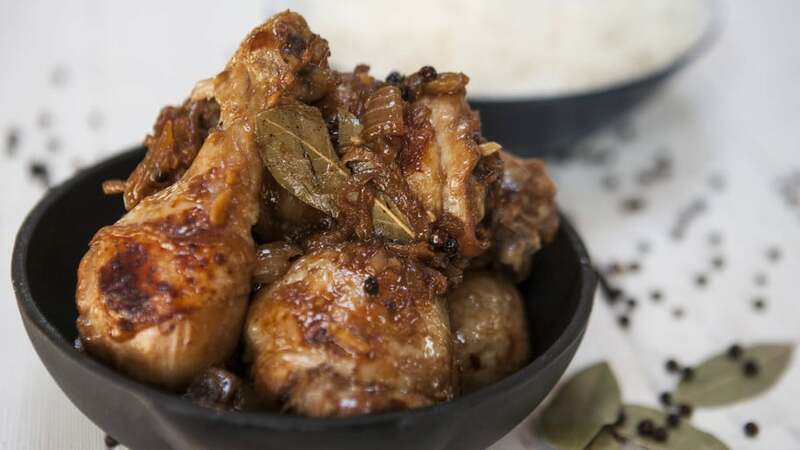 While the main ingredients for the dish may vary: chicken, pork or squid, the dish is named adobo because of the way it is processed. The Spanish originated word means marinate, and so the meat is marinated in some kind of sauce that is commonly the result of mixed vinegar, garlic and soy sauce, but for squids, there is usually an added ingredient in the sauce: squid ink. It is also known by other names: goto or arroz caldo. Basically, the three refer to rice porridge, but the differences lie in the dish components. 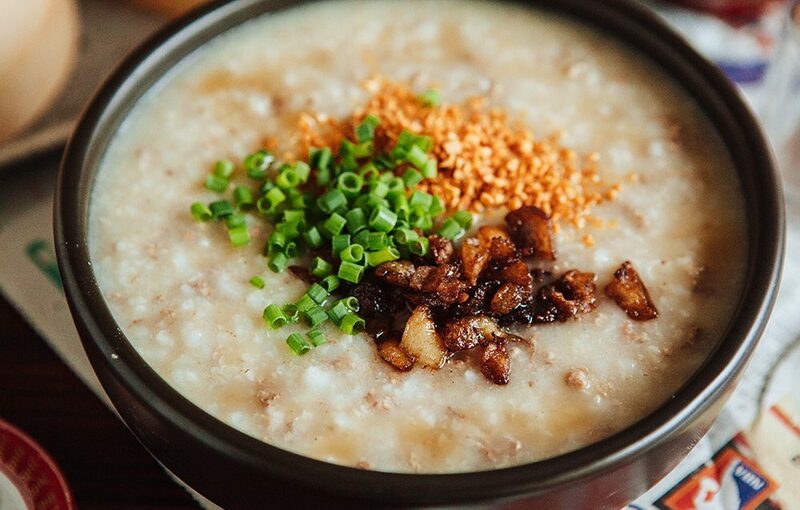 While goto is enriched with beef or pork, and arroz caldo with chicken, lugaw has no additional ingredients, but the plain porridge, which is quite similar to congee, but with thicker consistency. The local tend to consume this along with shallots, chili, and soy sauce. This dish is especially popular during rainy season. 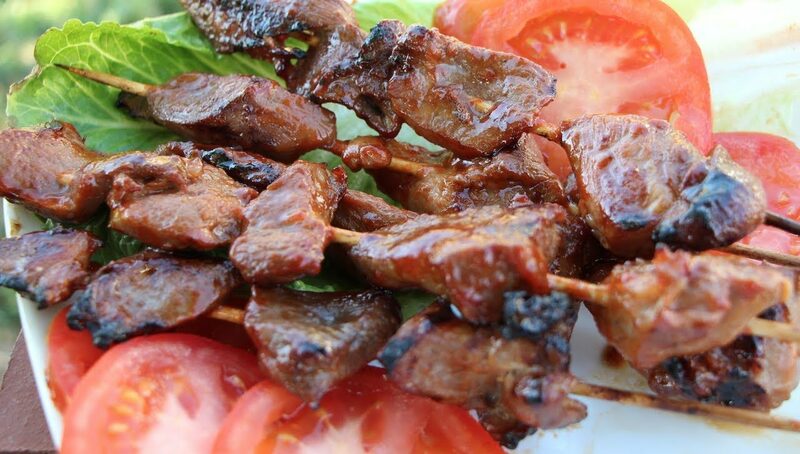 Quite similar to the popular satay from Indonesia and Malaysia, the Philippines has its own version of grilled and bamboo skewered meat to enjoy. However, the meat used is pork instead of chicken, lamb, or beef. These are grilled until the pork is cooked and it is also being basted during the process to add flavor and keep the meat moist. The tradition in the country to celebrate a kid’s birthday by serving the dish with hot dogs and local spaghetti. If you ask Filipinos what their favorite breakfast is, they will easily tell you one or more of the famous silog. It is indeed a popular breakfast menu. 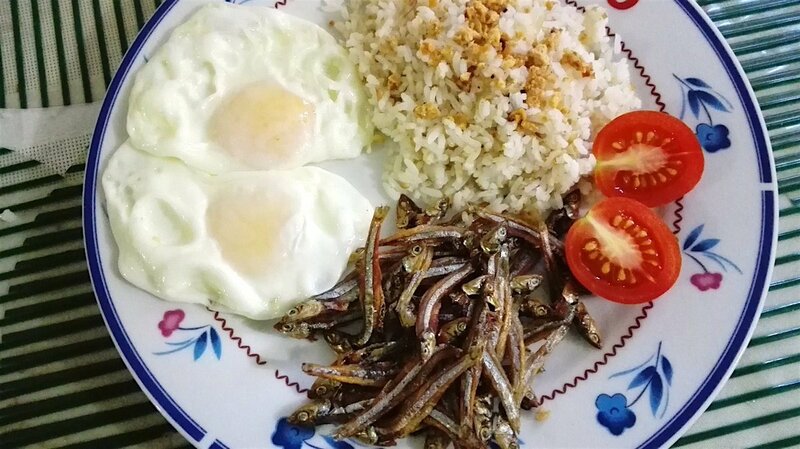 Silog actually refers to a combination of fried rice, egg and meat. The name silog is usually adjusted depending on the meat used. When beef is added, the name is changed into tapsilog, tosilog for pork and longsilog for the fried rice combined with local sausages, which are name longganisa. 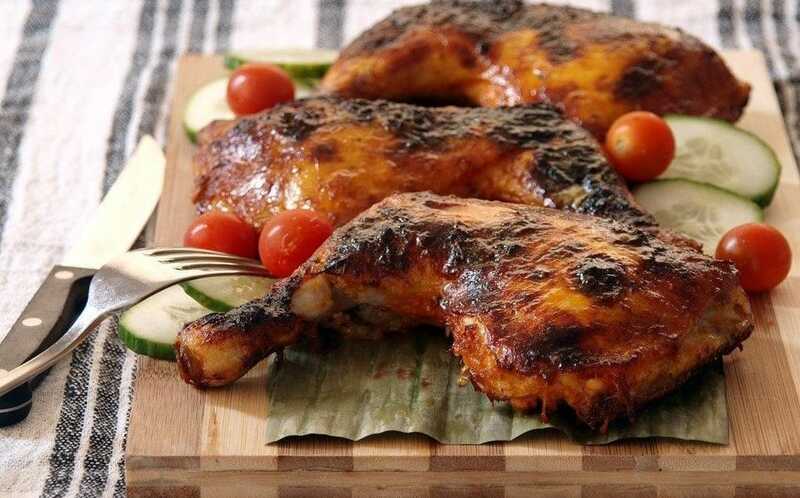 Having been popular during the past decade, the Visayas originated chicken dish is made and served with a lot of ingredients, such as lime, annato, pepper, vinegar, soy sauce, chili and dipping sauce. 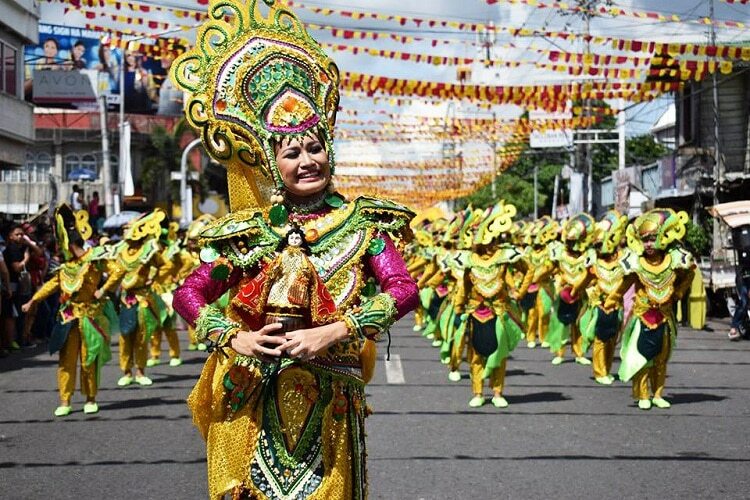 it is a popular specialty in the city of Bacolod, as well as in neighboring cities and towns of Negros Occidental. 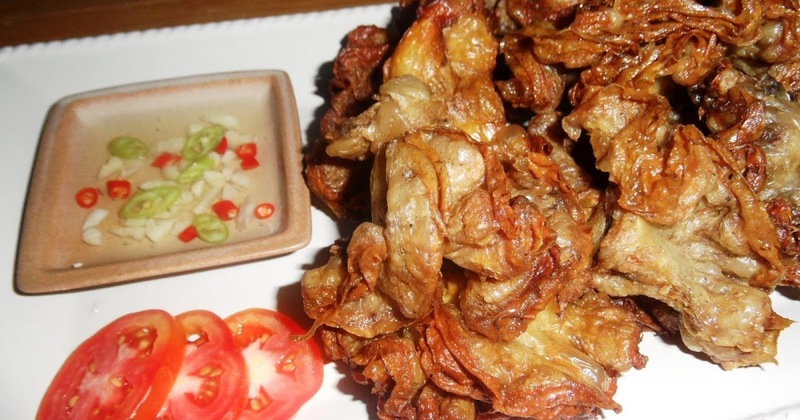 Chicharon Bulaklak or deep-fried ruffled fat is a popular Filipino appetizer. It is another local dish that uses a pig’s body part. This time, it is the thin layer of the animal’s intestines that looks like web. The innards are deep fried and served with vinegar, onion and chili sauce. This dish is extremely easy to find on the local streets. This can be said to be the most distinguished dish of the Philipines. 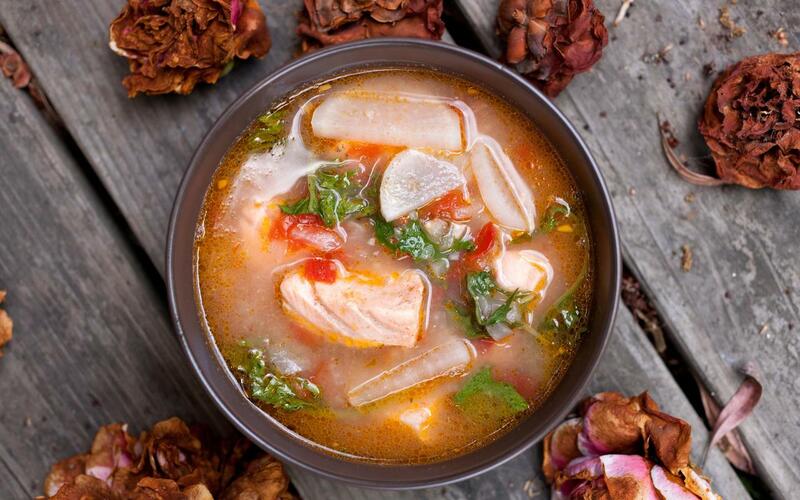 While other popular dishes are either grilled or fried, sinigang comes in the form of soup. As it contains tamarind, the dominating taste is sour. Those who care about healthy diet may find the dish agreeable to their expectations as it has got lots of vegetables (radish, eggplant, spinach, beans) and various kinds of meat (chicken, shrimp, fish, beef, pork). Most Filipinos like to cook sinigang with green long peppers in order to enhance the taste and add a little spice to the dish. Blessed with more than seven thousand islands, the Philippines is one of the top leisure destinations in Asia. It has got quite a lot of white, sandy beaches with crystal clear water. However, to make it easier for you to choose, the top ten are already picked! 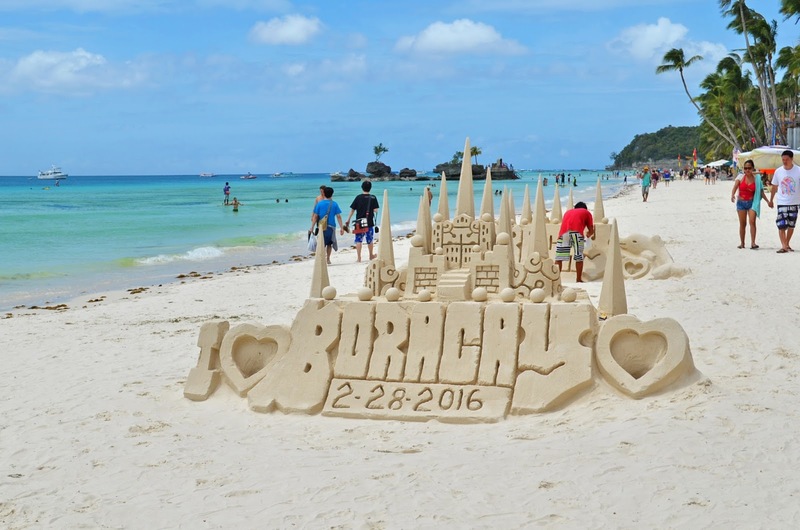 Boracay is a small island in Northern Panay island. Having been awarded and noted as one of the most beautiful beaches in the world with its one-of-a-kind 5 km white sand, this beach is a magnet for tourists. Thanks to the world wide recognition and exposure from online tourism giants like Tripadvisor and Yahoo, a lot of foreigners from the Western countries enjoy their leisure here. Equipped with diving spots and facilities, bars, clubs, spas, hotels, resorts and restaurants, this island is perfect for both romantic and adventurous getaways. Travel + Leisure magazine ranked Boracay 3rd best island in the world for 2017 alongside Palawan (also Philippines) and other world-famous islands like Santorini in Greece, Maui (Hawaii), Bali (Indonesia) and Galapagos Islands in Ecuador. When to Visit: The best time to visit is from November to May. The temperature during this time ranges between 25 degrees and 32 degrees Celsius. How to Get There: The fastest (and the most expensive) way to travel is from Manila to Caticlan airport. Then, you need to take a vehicle to Caticlan Jetty port for the 10-20 minute boat ride to Boracay. Coron is both the name of an island off the coast of Busuanga and the name of Busuanga’s largest town. It is one of the beaches that stun their visitors with its breathtaking views. Many who have visited this beach tend to find the place fiction-like. It is in the form of a lagoon with clear, blue water, rocky mountains and beautiful coral reefs. Enriched with some historical value with the Japanese shipwrecks from the World War II under its water, this beach has been nominated in The World’s Top Ten Scuba Diving Sites by Forbes Traveler Magazine. When to Visit: The Dry Season runs from December to mid-June. Coolest months are from December to February. On average hovering in the 30 degree celsius range plus humidity. How to Get There: Flying is the easiest and fastest way to reach Busuanga Airport from Manila then take a van to Coron town (takes about 45 minutes). 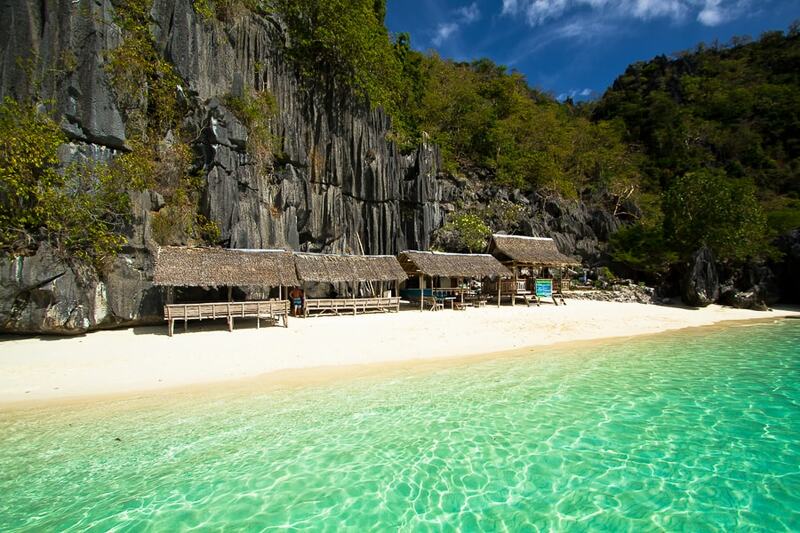 Located in Palawan, just like Coron, the beach offers clear water, white sand and astonishing view. The added benefit of visiting the beach is enjoying nature and wildlife through its beautiful forests. 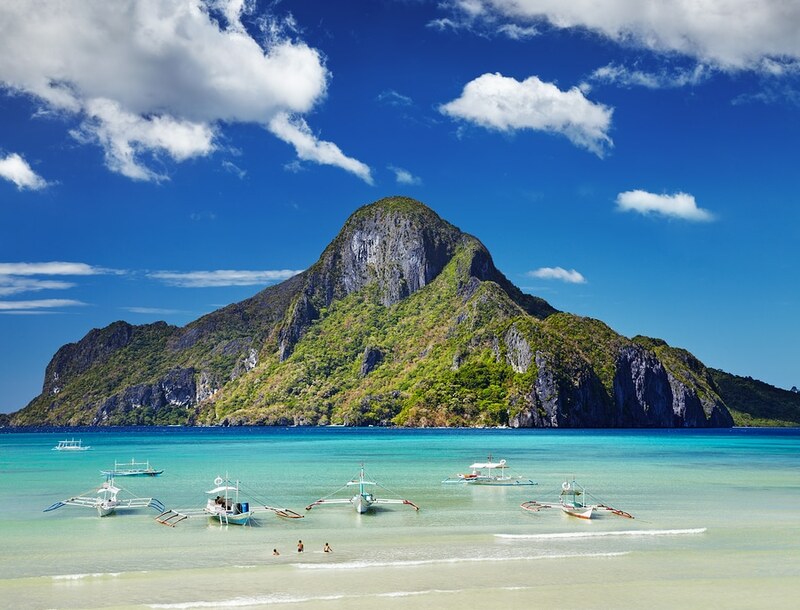 El Nido in Palawan is ranked No. 14 among the CNN’s Top 100 Most Beautiful Beaches in the World. When to Visit: The best time to visit is December through March because the weather is nice and dry. 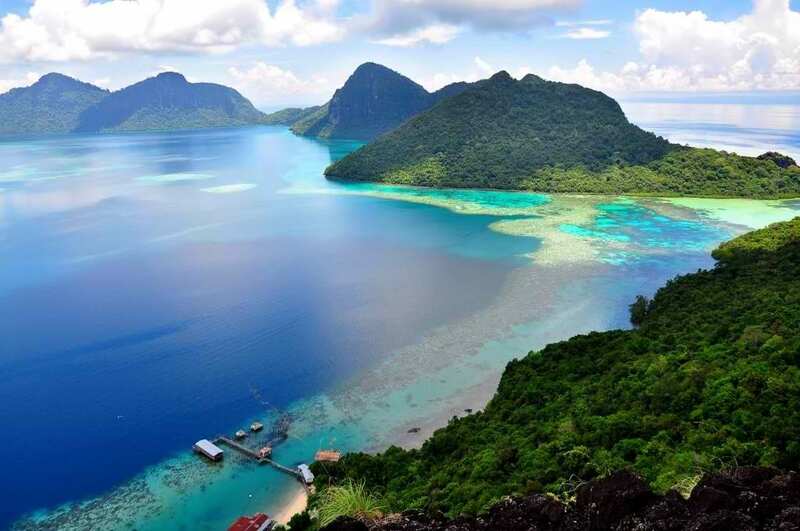 How to Get There: Most tourists coming to El Nido land on Palawan island in Puerto Princesa International Airport, though a direct flight from Manila. The journey usually continues with a van direct from Puerto Princesa airport up to El Nido bus terminal. The beach is on Panglao Island. Its beauty has earned the place a cute nickname the little paradise of pure hearts. The tourism spot is suitable for those who fancy relaxation and taking a stroll along the shore. When to Visit: The dry, cool season between December and March is the perfect time to go. How to Get There: The easiest way to reach Bohol is via Cebu, where there are ferries heading to the direction every day. Despite the tear like shape of the island, the place is best known for its beach and waves. In between August and November, they can reach as high as twenty feet. The blue water beautifies the surfing spot. No wonder, several prestigious surfing events, like the 2017 International Women’s Surfing Cup, Cloud 9 Surfing Cup, and Surfista Surf Camps have been conducted there. Furthermore, the island has the largest mangrove forest in Mindanao which is a source of rich marine biodiversity. When to Visit: For those who plan to go surfing, the best months would be August to November. How to Get There: The most convenient way to get to Siargao to take a flight from Manila or Cebu city to Sayak Airport, Siargao. Although the beach has been compared to Hawaii due to its magnificent blue water and the seemingly endless white sand, it is not so crowded yet. It may be the result of its location on the northern part of the Philippines’ main island, Luzon, with not-so-accessible route. However, for that reason, the beach is perfect for intimate and relaxing getaways. When to Visit: From December to March is the best time to go to Pagudpud to head out to the calmest waters, and bluest skies hands down. How to Get There: You can fly from Manila into Laog City in Ilocos Norte and then hire a bus or a car from there. The island, which is located in the northern part of Cebu, offers not only a fun and adventurous holiday, but also a theurapetic one. Those seeking fun and adrenaline rush can enjoy cool sandbars and various thrilling activities, like skydiving, while the gentle waves, warm breeze, and soft white sand create peaceful atmosphere in the area. When to Visit: Best month to visit is from January to June. How to Get There: Most tourists go here via Cebu City, where one can take a bus to Hagnaya Port and a ferry to Bantayan Islans. Those looking for a tourism spot that has more to offer than a plain beach may find this place suitable for their taste. This island indeed has a unique topography with its pear-like shape. Camiguin has more volcanoes per square kilometre than any other island on earth. Therefore, tourists coming to the place are also spoiled with mountainous terrains other than the beach itself. Some who have been mesmerized by its beauty have even referred to the place as the Garden of Eden. In addition, there is the Cross at the Sunken Cemetary that many have found intriguing. When to Visit: If you get the chance, visit Camiguin during the Lanzones Festival, which is celebrated on the third week of October. How to Get There: The most convenient way to Camiguin is obviously a plane trip from Cebu to to Camiguin Airport (Mambajao, Camiguin). 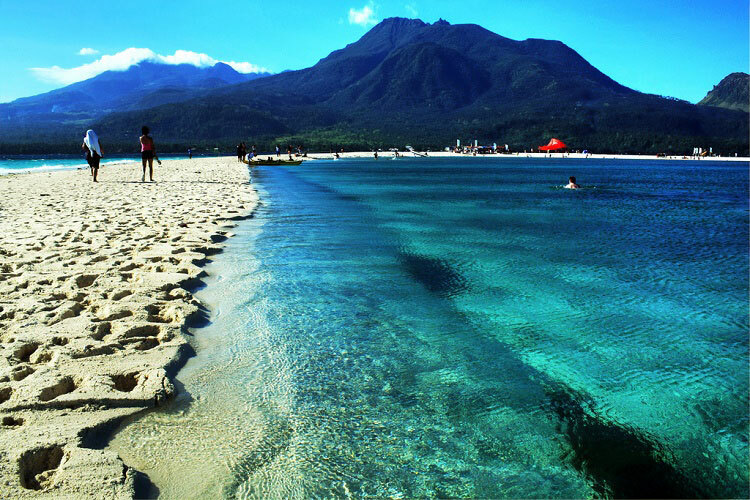 Camiguin Island in the Philippines. Photo by Bro. Jeffrey Pioquinto, SJ via Flickr. Tourism business seems to have grown in this place. Here, there are a lot of resorts and hotels to choose. Those who enjoy the combination of luxury and beauty of the nature are likely to have a great time in this tourism destination. How to Get There: Dakak Beach Resort is a 30-minute drive from Dipolog City and Dipolog Airport. Mactan Island which is located in Cebu is home to 430,000 people. 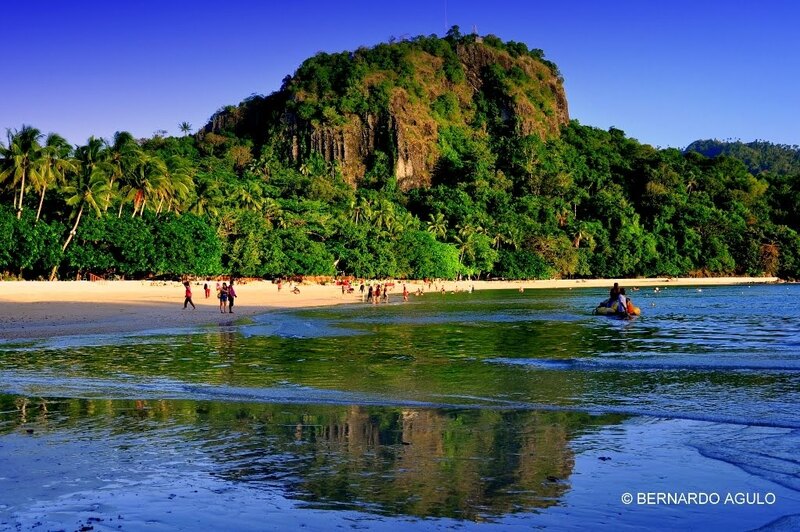 It is the most densely populated island in the Philippines and has many tourists spots and attractions. There are also numerous water sports activities, like jet skiing, sailing, para-sailing. When to Visit: From January to May are the driest months, and you should expect rain the rest of the year. For additional information, while it may be easy to reach some of the top ten beaches (like Dakak Park, Boracay, El Nido, Siargao in Surigao, and Puerto Princesa) by air via direct flights, the other places are likely to require you to combine a flight and land or sea transportations (the popular ones are ferries). Nonetheless, most tourists find the tiring journeys worthwhile. Asian countries have always been popular tourism destinations. Not only do they offer a wide range of different experiences and adventures, but many also find that the budget is not burdening. The country has got thousands of islands, which means a vast collection of pretty beaches. Sometimes people have their own ideas of a perfect beach. Some may look forward to romantic sunsets, others a chance to snorkel and enjoy underwater beauty and the others an experience to swim with the giant whale sharks. With thousands of choices, it will not be impossible to find one that matches your personal criteria. 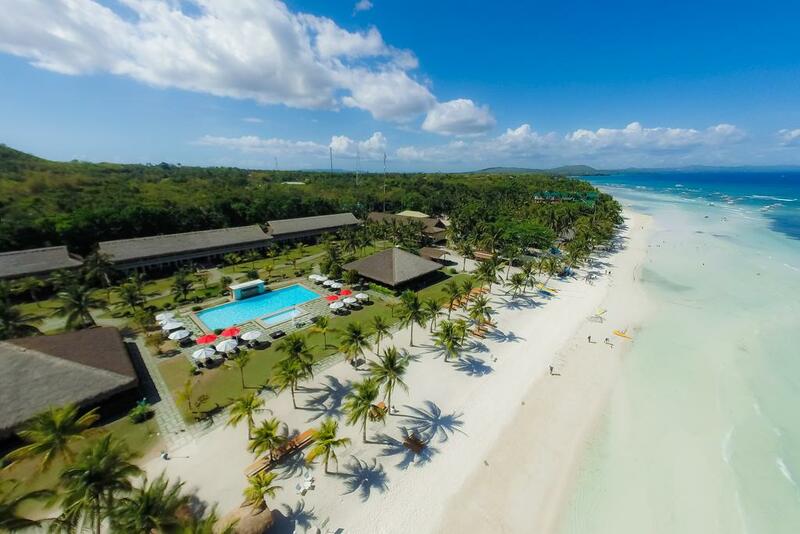 As long as you do not mind browsing a bit, it will be easy to find out that the best sunset can be found in Boracay, the beautiful reefs in Palawan, and the whale sharks in Cebu. If beaches are not for you, there are still other natural wonders awaiting to be explored: volcanoes and rice terraces. 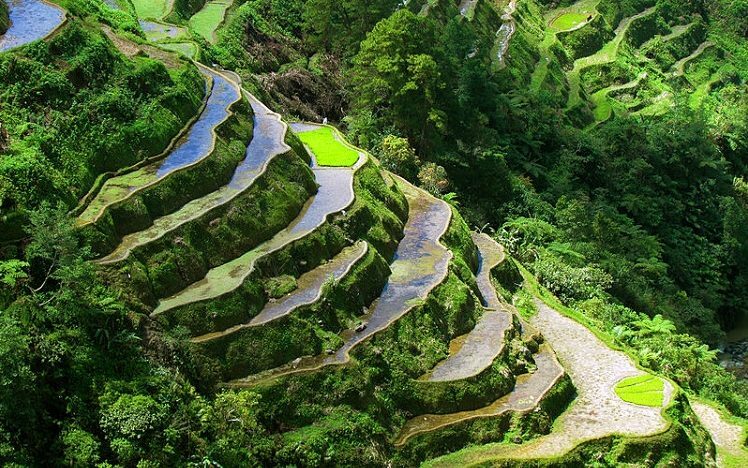 UNESCO has, in fact, listed the rice terraces in the northern Luzon to be one of the world’s heritage sites. Beyond the beauty that the paddy fields offer, the geographical conditions in the area, like the cliffs and waterfall, also allow an exciting trekking adventure for its visitors. As for the volcanoes, there are two well-known sites: Camiguin in Mindanao and Mount Mayon in Bicol. When visiting the inactive volcanoes, tourists can try climbing the volcanoes, yet be aware of mini eruptions that may happen. To be on the safe side, it is better to hire a guide who knows the areas well. After all, climbing the volcano(es) can be rewarding and soothing, what with the agenda of bathing in natural hot tubs or springs nearby afterwards. However, if you are not into nature, big shopping malls and street foods can be a different kind of adventure in the country. For great shopping experiences, you can go to Manila or to Quezon where the South East Asia’s biggest shopping mall is located. Alternatively, you can also try visiting the world’s fourth biggest shopping mall in Pasay. Many who have visited the country seem to find that the locals are nice, friendly people with a good sense of humour. Even the traditional people who still live in tribes welcome wefie invitations. Some others have reported polite treatment from the locals as they constantly address tourists with miss, ma’am, sir, etc. 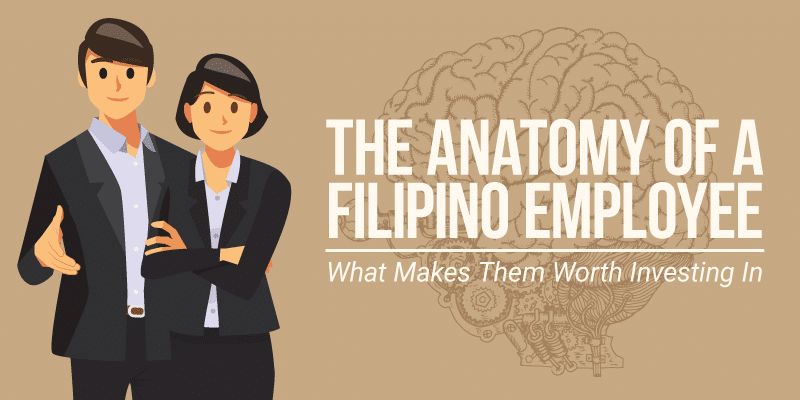 Additionally, over 90% of the Filipinos speak English. With less language barrier, blending in appears to be easier to do. This is especially true for tourists coming from the United States and European countries. With the different currencies, everything in the Philippines may seem affordable. The rent for some great bungalows right on the beach is around $35. Even the price for alcoholic drinks is reasonable. 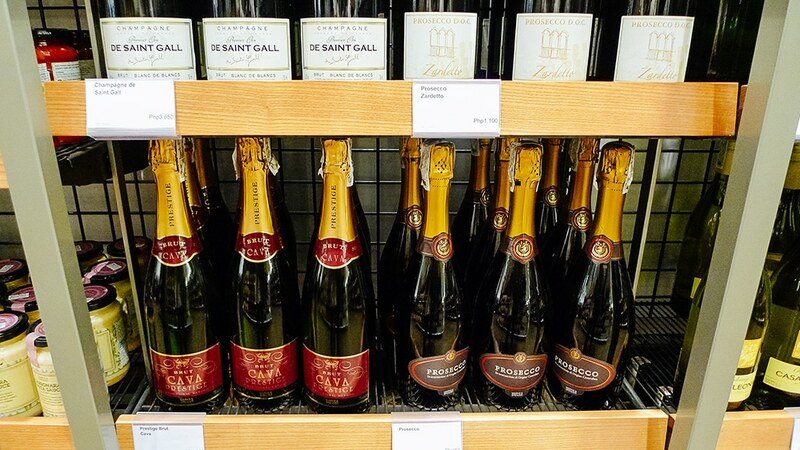 Some 0,5l drinks is for sale at $0.5 while the 0,7l bottle costs $2. Practically, it is fun to have a holiday in the country as there is nothing to hold back, including your spree for good drinks. Not only are they cheap, but they can also take your culinary experiences to the next level. 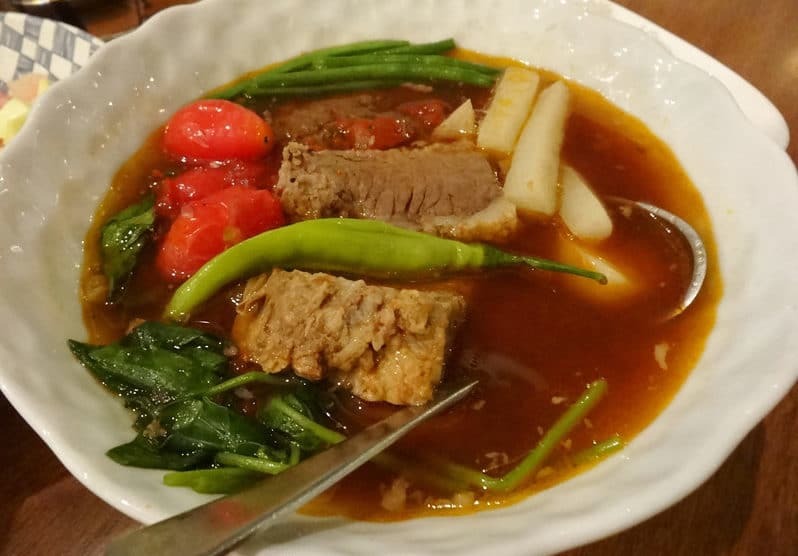 Mostly dominated by pork, some of which is either grilled or fried, the country’s most popular dishes come with healthier options, like sinigang, which refers to tamarind based soup garnished with a lot of kinds of meat and vegetables and balut, which is a boiled duck egg. While foreigners may find the first dish agreeable to their taste once they get used to the sourness, many find the second one repulsive or at least challenging to eat. 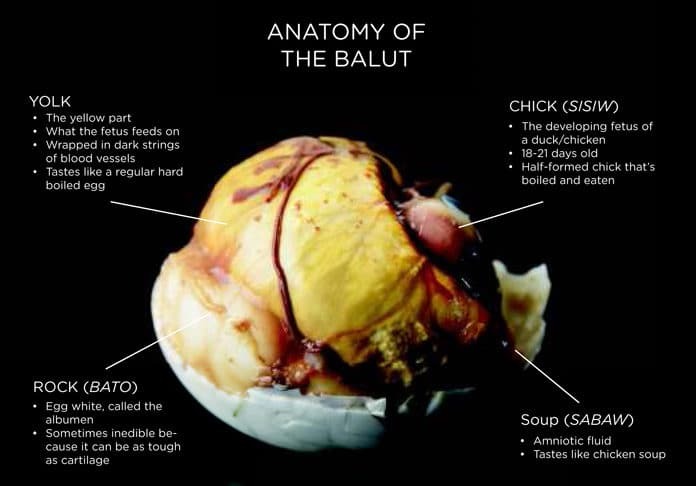 Balut has indeed gained its notorious reputation for a long time as it is not common for people outside the Philippines to dig in an already anatomically complete duck embryo from its egg shell. Not keen on trying the dishes? Not to worry, the country also has halo-halo as its most favourite dessert. The reason for the love of this dessert is obvious: it is colourful, healthy with kidney beans, coconuts and some other local ingredients and refreshing with the ice cream on top. If you do not fancy the combination, eating just the local fruits can be appealing for your taste buds. The pineapples. mangoes, papayas, durians, and coconuts are simply fresh and tasty. 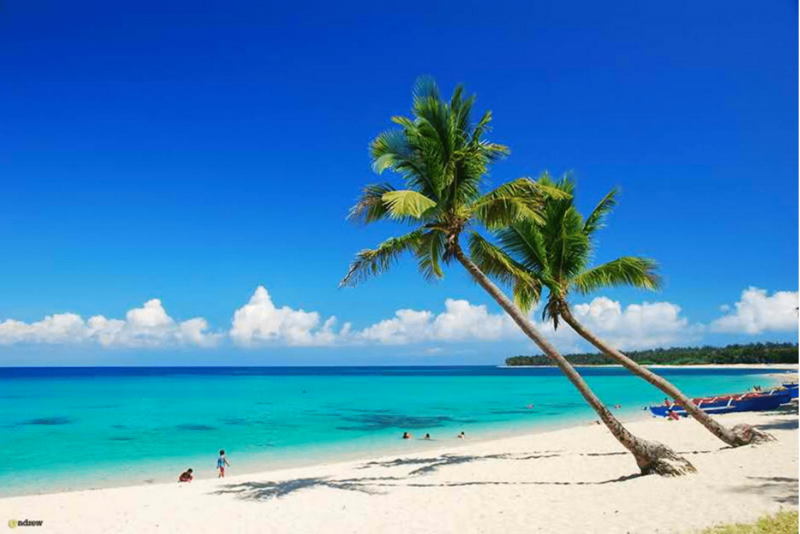 The Philippines is a tropical country with around 26.6° C yearly temperature on average. 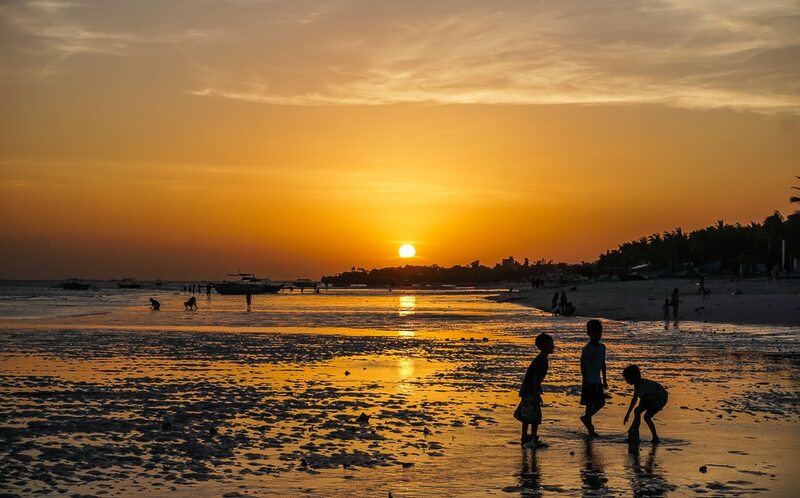 With such friendly temperature, tourists can easily adapt to the country’s weather although rainy season is to be expected from June to October. The best time to go is between November and May. 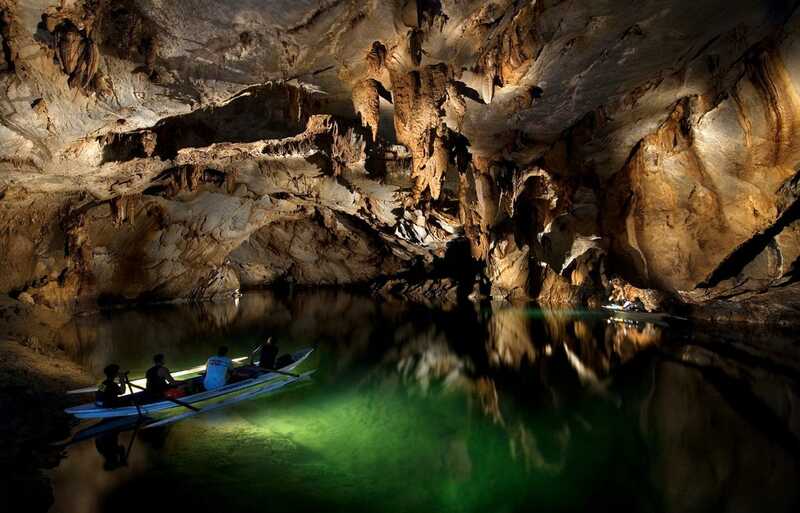 The Underground River is a 8km navigable river in the island of Palawan, in western Philippines. 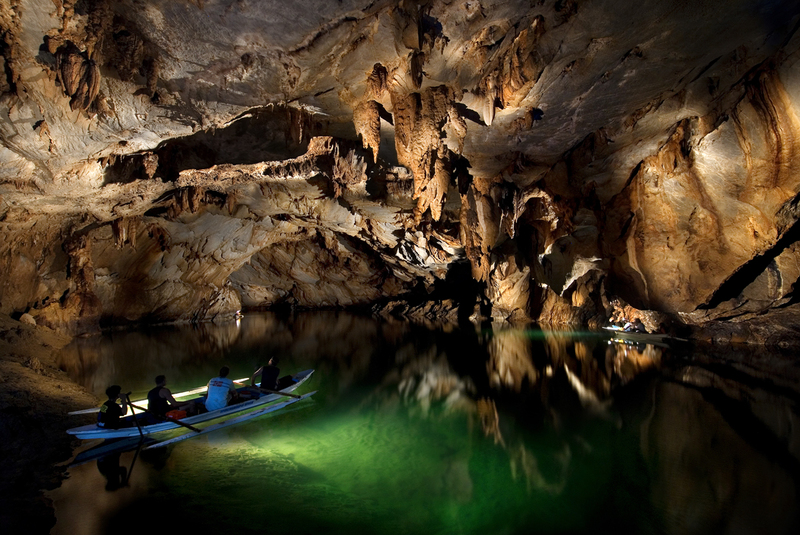 It’s the longest river underground and boasts incredible geological formations, lagoons and caves. Perfect beaches. Friendly locals. Beautiful nature. Non-Extreme Weather. Plus, it’s a cheap country to travel, you’ll get a great value for your money. So, there you go, the seven main reasons why the Philippines is a must-visit country.